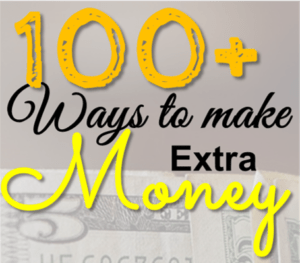 Ways To Earn Extra Money Today! It seems like everyone is looking for ways to make extra money these days. The financial climate in the USA is particularly hard for new parents – especially with health insurance premiums sky-rocketing and medical costs 5 times more expensive in the US than in other developed countries. New stay-at-home parents often think that they will have a ton of free time and flexibility to work from home, start online stores, sell stuff on Amazon or run a home business. Unfortunately, the truth is that there will likely be only a small period of your day that can be devoted to making some extra money – when your baby is asleep! This short article to gives you 3 main resources that will allow you to work on your laptop while your baby is asleep AND make significant online income! No special skills are required – just a laptop, an internet connection and a nice glass of wine! Don’t worry because we have you covered! 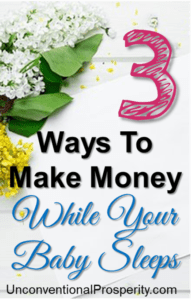 Read on to learn 3 great ways to earn extra money. Earning Potential: Almost unlimited! $1000 – $100,000 per month is achievable by most people. Are you interested in starting a blog? We have several websites that produce monthly online income from $2K to $10K+ (Check out our online income reports)? It is a really great feeling to make money from home online. Blogs take a lot of hard work but the rewards can be more than worth it! If you are serious about starting a blog or website, be sure to check out our tutorial that will help you start a blog of your own for only $3.49 per month. No other business model on earth can offer the amount of potential profits for such a tiny investment. If you sign up for blog hosting (required) through our Bluehost link you will also get a free blog domain name and the lowest possible price for your website hosting. Starting blogging is probably the most significant action you could take to MASSIVELY change your financial life. Honestly, do not put this off if you think it might be something that you would like to do. Earning Potential: $200 – $1000 per month depending on time and effort. We love paid surveys. The pay is not that great, but we have managed to earn $10+ per hour. The sites are all completely free to sign-up for and easy to use. In order to maximize your earnings, we suggest that you sign-up for as many sites as possible. Our favorites are Survey Junkie, Vindale Research and SurveyMomma. These surveys are very easy ways to make a bit extra cash while relaxing at home. What could be better after a long day but watching videos and getting paid for it!? Well its not exactly like watching movies or your favorite TV shows but it IS easy money! 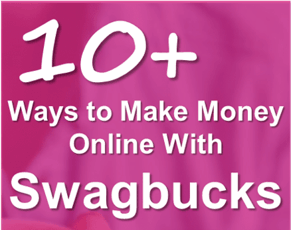 There are many sites like Swagbucks that pay you to watch videos (they have paid surveys and other ways to earn as well). Swagbucks will also give you a $5 signup bonus once you have confirmed your email and watched a video. Pretty easy! Companies will pay Swagbucks to get views on their products and Swagbucks passes some of those earnings on to you. So there you have it – three extremely easy ways to earn extra money when your baby finally falls asleep! These are just some of the creative ways to make money that we regularly recommend to friends and family when they are looking for ways to make more money. Please feel free to browse this site for many more ways to make money online and offline. We have included some links below to other articles that you might find useful. Please leave comments below if you have other good ideas to help others out! Do You Have Any Ways To Earn Extra Money? Comment Below!